Parents have the ability to generate and view the child's transcript. 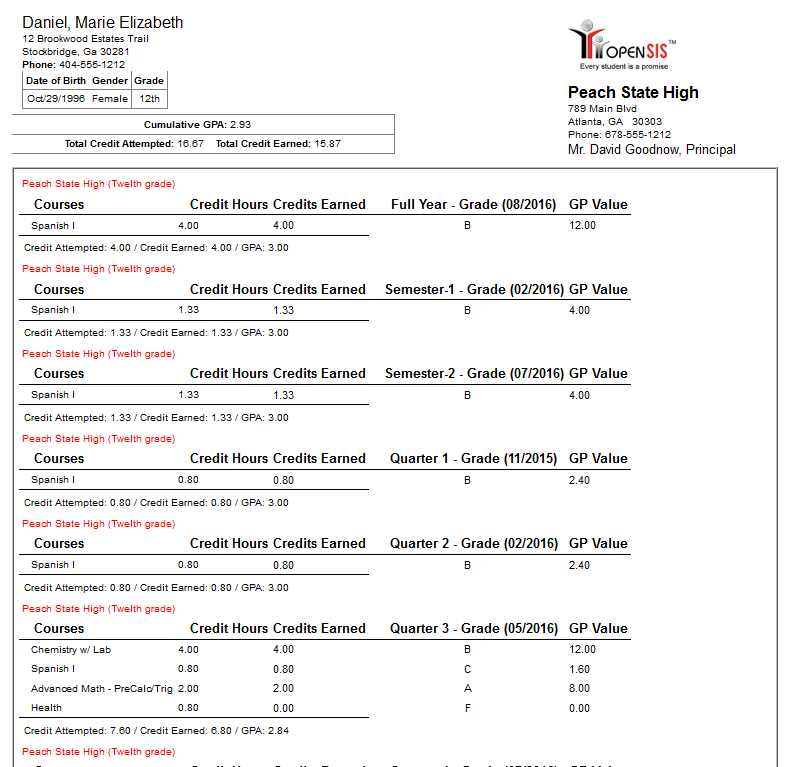 To generate select Grades >> Transcripts and click on create transcripts for selected students. Clicking on Create Transcript button would fetch the transcript report.